The lobby no one forgets, the 1958 mosaic mural with its atom signs and labware beakers at the Great Valley Laboratories in Paoli, Pennsylvania. The company and its lobby are long since gone, forgotten after all. 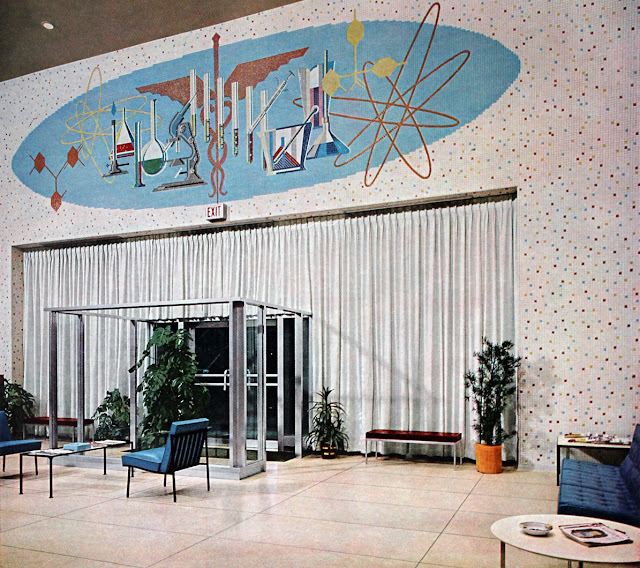 We love these classic mid century modern murals made with mosaic. Back in the 1950s, American Olean was one of the main players in this field. 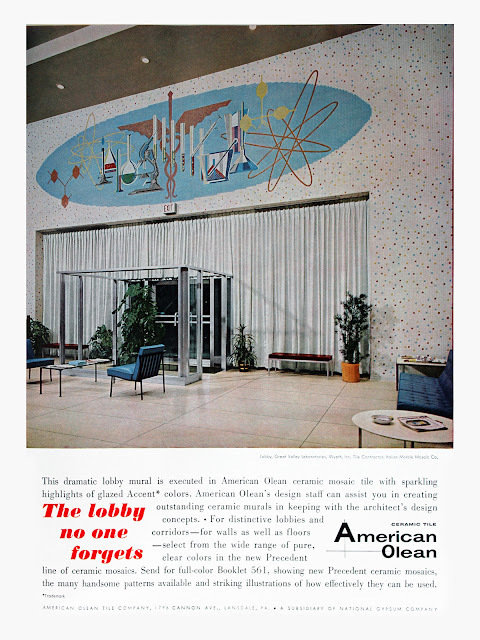 American Olean is still in business today but their current catalog is a far cry from the detailed mosaic murals they used to create during the heyday of great American styling, the 1950s.